The Three Stooges Return to Do Stupid Frack Trick in Dimock? The Cabot Oil & Gas lawsuit, incredibly enough, has prompted a return of The Three Stooges (Huston, Kemble & Stevens) to Dimock, to do a stupid frack trick. Well, it’s multiple stupid frack tricks to be honest and they’re so stupid, one has to wonder if the game isn’t finally up for these fractivists. Earlier today, Dimock junkyard plaintiff, now defendant, Ray Kemble pulled another stunt which ranks right up there with some of his previous greatest hits, such as the time when he told others “you’re going to be in a body bag after you drink that water” referring to his tests of his water supply. Today was yet another adventure in absurdity. Kemble, aided by motormouth buddies Craig Stevens of Energy In Denial and brown jug fame, and Bill Huston, the SRBC hearing hummer (yes, really), apparently held a press conference at the Dimock Post Office to announce he was mailing three letters. I can only imagine the reaction of postmaster seeing a Three Stooges episode unfold in a post office that hasn’t seen this much attention since the Publishers Clearinghouse Sweepstakes entry forms arrived. (Dimock, PA) On Wednesday, Feb 28, at 12:30 PM, Mr. Raymond Kemble of Susquehanna County, will hold a brief press conference in front of the Dimock Post Office. He will be sending three letters by registered mail. FIRST, a Notice of Claim against the Commonwealth for $38.7 M, for Nuisance, Personal Injury, Complete Loss of Property Value, and other damages, including gross violations of Mr. Kemble’s Civil, Constitutional, and Natural Rights. SECOND, to Attorney General Josh Shapiro, a Private Criminal Complaint, filed under seal, outlining a criminal conspiracy between state and private actors, to POISON the air, land, water, and people, since the first horizontal well was drilled 2/20/2006. This conspiracy had the effect of subverting the laws of the Commonwealth to deny citizens their natural, constitutioinal, and civil rights. Mr. Kemble futher DEMANDS that the Attorney General complete his criminal investigation which Mr. Kemble instigated in May of 2017, and that a Grand Jury be convened to investigate these charges. and THIRD, a demand for copies of their Oaths of Office for various officials filed with the Secretary of State. Mr. Kemble first observed a change in his water quality in October 2008, after Cabot drilled the Costello #1 well 530’ft from Mr. Kemble’s water well. His water was offically determined by PADEP to be contaminated by Cabot Oil and Gas 15 April 2010. Since Nov 30, 2011, Mr. Kemble has been DENIED his rights to clean water under section 3218 of the 1984 Oil and Gas Act, as amended by Act 13 (2012), by State Actors, including two governors, five DEP secretaries, and principally, Mr. Scott Perry, Deputy Sec. of Oil and Gas. Mr. Kemble has suffered complete loss of his property value, property nuisance, harrassment, stalking, threats, loss of personal income, a $5M SLAPP suit, and chronic and acute health impacts. Mr. Kemble has been trying to acheive administrative remedy in various venues AND DENIED such for 9 years. The first hint at just how stupid this stupid frack trick might be, is the failure to correct the misspelling of Constitutional in an appeal to Constitutionalism. The all-caps spelling of “poison” is, likewise, hardly good legal form, not to mention completely inaccurate. Indeed, the water tests to which Ray referred to in this video showed not so much as a single result exceeding EPA drinking water standards, with the highest numbers attributed to sodium, calcium and iron, none of which were atypical or dangerous. The action requests are clearly connected with the subject of the stupid frack trick, an attempt to stir up something that will do a public relations end-run around the Pigs to Rigs lawsuit Cabot has filed. That lawsuit is about Ray Kemble’s renege on his settlement of the very claims he makes now about supposed problems in 2008 and 2010. The renege took the form of a second lawsuit by Kemble and that lawsuit was withdrawn on the motion of Ray’s own attorneys, which should have told the whole world just how bad it was. It was at the point of that withdrawal that Cabot decided it needed to do something to put a stop to the harassment by Kemble and attorneys, so it sued. Now, Kemble and company are trying to distract from those fundamental facts. The fund-raising requests (probably to cover Ray’s Florida lobbying trips) come fast and heavy at the end of the video. There are also some disgusting shots of Kemble’s water tank and filter that he acknowledges he hasn’t maintained. Then, there is just a lot of what can only be called embarrassing stupid stuff. Both the video and today’s announcement, of course, are designed to portray Kemble as a impoverished victim. 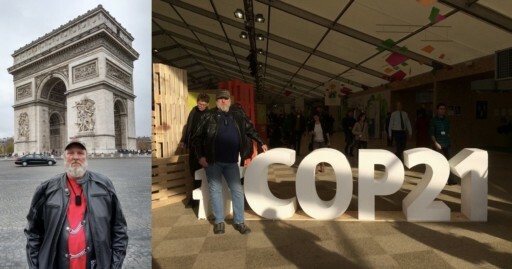 Yet, this supposed victim somehow has the funds to travel to Florida and lobby the legislature, as well as apparently attend the COP21 climate conference in Paris, if the photos on Bill Huston’s blog are to be believed. Ray Kemble in Paris – who paid? Given his traveling, Kemble has to be running up some big bills. Is that why one of his three letters mailed today asks Tom Wolf to pay him $38.7 million dollars in damages? Or, does he want Wolf to help cover the cost of whatever he and his lawyers may have to pay Cabot in Pigs to Rigs damages? Either way, the Three Stooges are good entertainment, especially when they do stupid frack tricks. For more insights see EID’s post by Nicole Jacobs. you can see more of what Tom hasn’t reported or twisted to fit his Agenda. 38.7 million, right, maybe then spell check will be installed and used. Carry on. Hi. 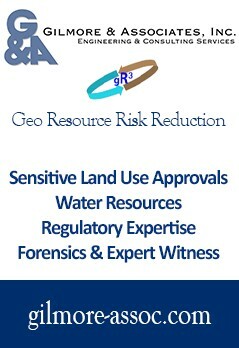 Will you please show me where or how the consent order changed the leases for land owners? Please highlight the parts. Also please highlight the parts where the consent order shows that dep regulatons do not need to be followed and or will not be followed. FYI – They were thrown off the post office property by non-too-pleased owner and did presser in muddy church parking lot. This is great info! Thanks, Reggie!